I mbliana tá sé i gceist againn, i nGaelscoil Chluain Dolcáin, cur isteach ar an mBratach Scoile Gníomhaí. Táimid ag obair go dian sa scoil chun an brat seo a bhaint amach le dhá bhliain anuas. Tá an-chuid den obair curtha i gcrích againn cheana féin. Chomhlánaíomar an fhoirm chlárúcháin ar líne chun suim ár scoile a léiriú in iarratas a chur isteach ar an Bhratach Scoile Gníomhaí (BSG). Chuireamar pobal uile na scoile ar an eolas go bhfuil suim ag an scoil aghaidh a thabhairt ar an BSG a bhaint amach. Ceapadh Múnteoir Caitríona, an sealbhóir B-Post don sport, mar chomhordaitheoir Brataí Scoile Gníomhaí chun an scoil a threorú tré phróiseas na Brataí Scoile Gníomhaí. 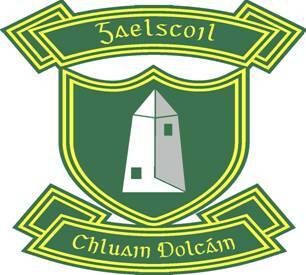 Bunaíodh coiste Brataí Scoile Gníomhaí i mí Mheáin Fómhair 2012. Tá an scoil tar éis féachaint ar an stádas reatha i ngach ceann de na réimsí athbhreithnithe. Tá an coiste BSG tar éis ransú smaointe a dhéanamh maidir leis na feabhsuithe a d’fhéadfaí a dhéanamh i ngach ceann de na réimsí athbhreithnithe. Tá cinneadh déanta agus liosta déanta amach ag an gcoiste BSG maidir leis na feabhsuithe faoi leith a chuirfear i gcrích do gach réimse athbhreithnithe. Chuireamar na feabhsuithe i gcrích. Líonamar isteach an fhoirm iarratais agus sheolamar ar aghaidh é i mí an Mheithimh seo caite. We are working hard in the school to achieve the Active School Flag over the past two years. We have completed most of the work already. We completed an online registration form to indicate our interest in applying for the Active School Flag. We made all members of the school community aware that the school is interested in and working towards achieving an Active School Flag. Múinteoir Caitríona was appointed as the Active School flag co-ordinator to lead the process. 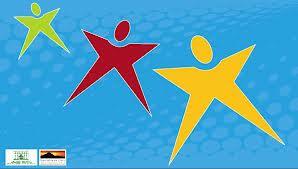 We established an Active School Flag Committee in September 2012. We completed a school audit whereby we wrote a detailed account of their school provision for each of the review areas, prior to engaging with the ASF process. The ASF committee then brainstormed each of the review areas for possible improvements. The ASF committee identified and made out a list of the improvements that the school hopes to make for each review area. We implemented the above improvements. We filled in the application form and sent it off to the Active School Flag co-ordinators in June 2013.